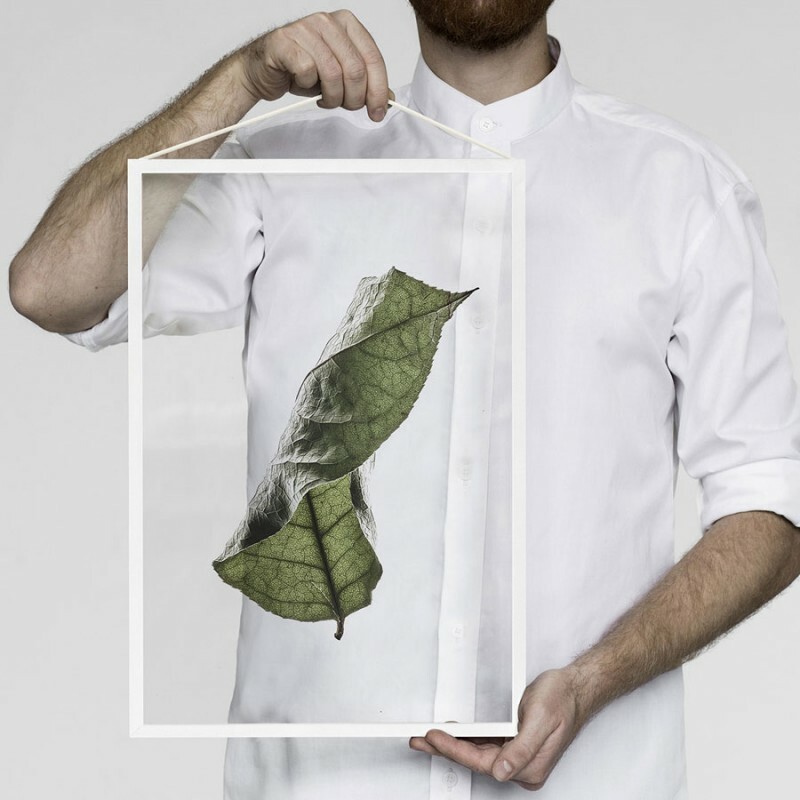 This unique print of floating sabi leave is made as a collaboration between the 3 Copenhagen based design companies: the art print house Paper Collective, product makers Moebe and the design studio Norm Architects. 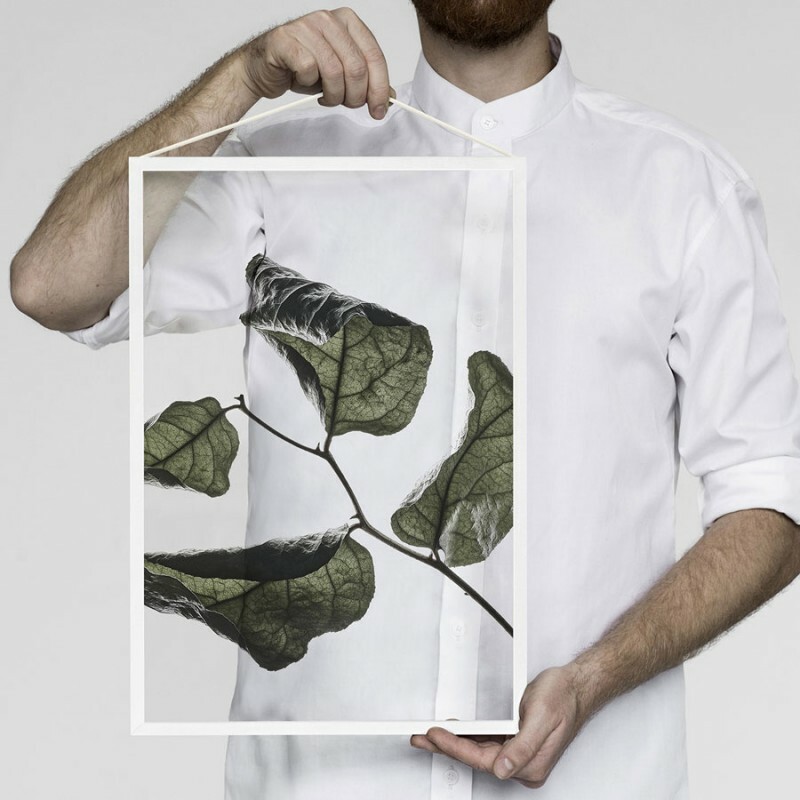 This print is part of a new series of transparent botanic photography. 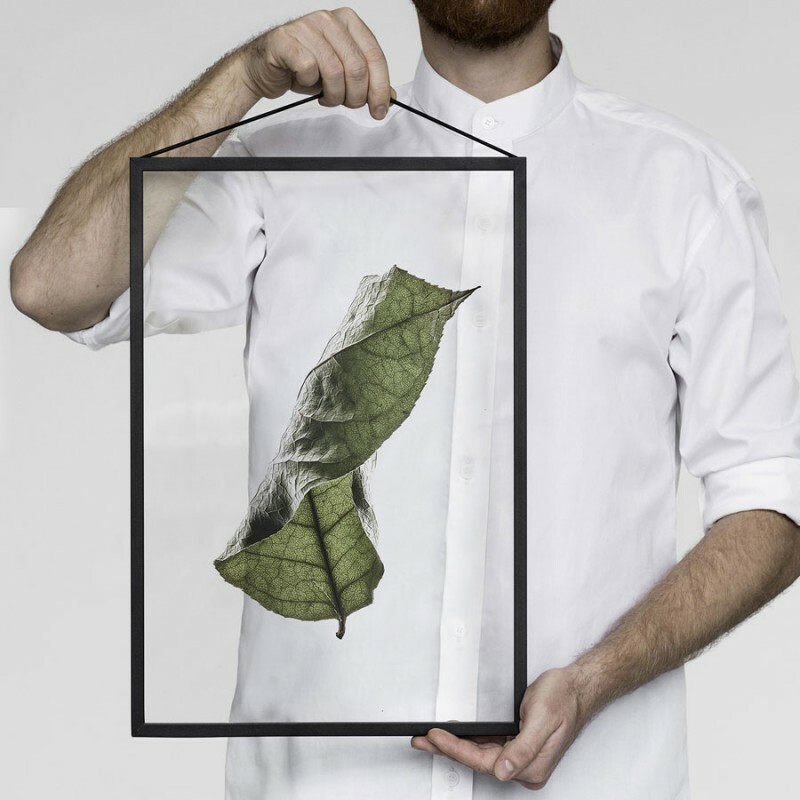 The print has been created for the iconic Moebe frames but would also look great displayed in the window or on other transparent surfaces. 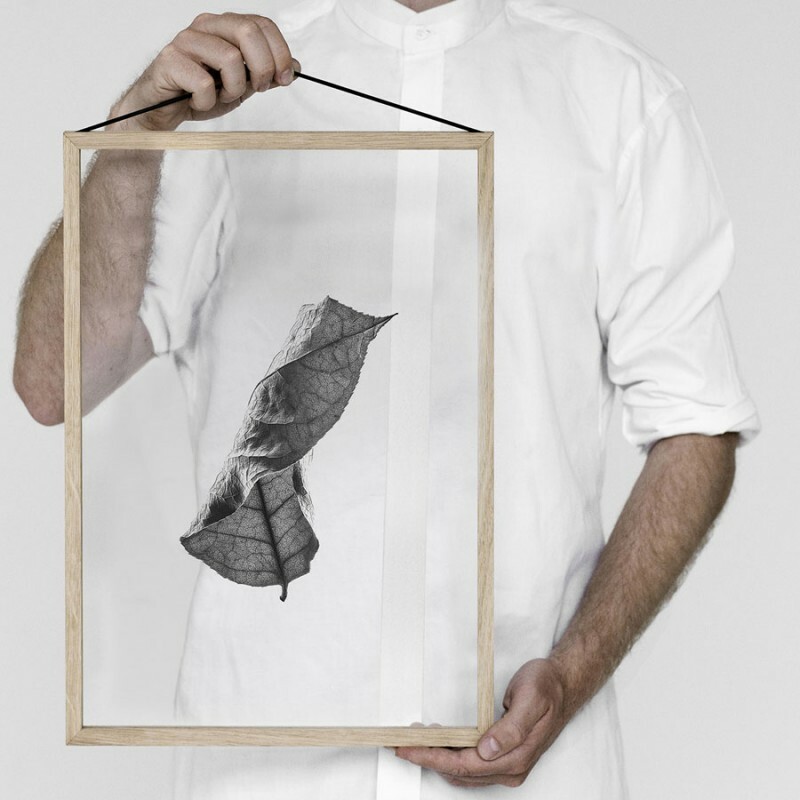 The Floating Leaves prints are available in A4 or A3 and may be ordered with or without the following frames. Please make your selections in the above pull down menu. 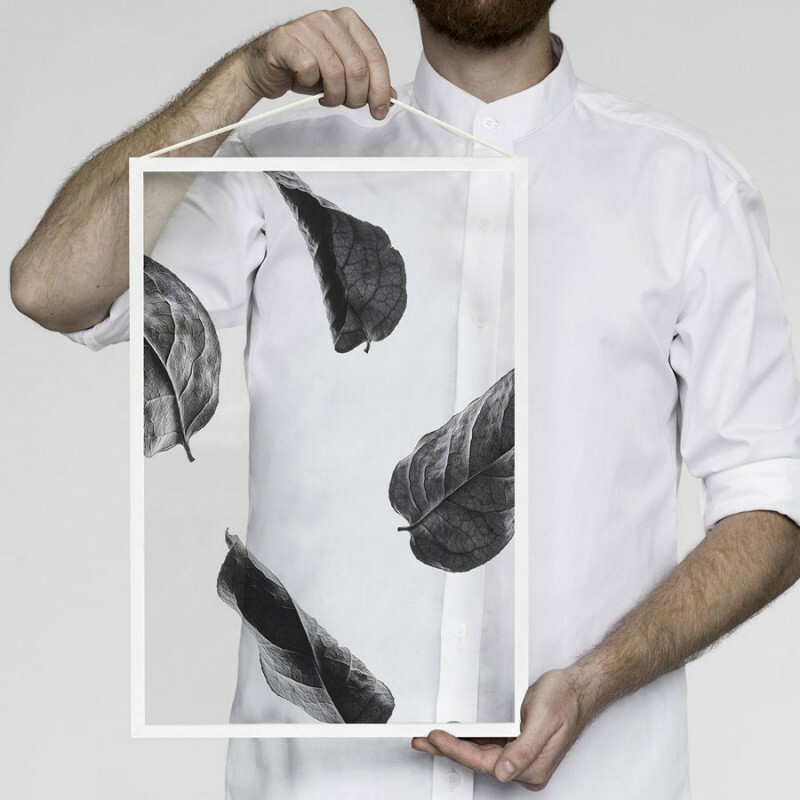 “The Floating Leaves are inspired by a collection of botanic samples and classic botanic illustration. Playing with a mix of fresh greens and elements of decay, the Leaves become an expression of passing time and changing seasons. 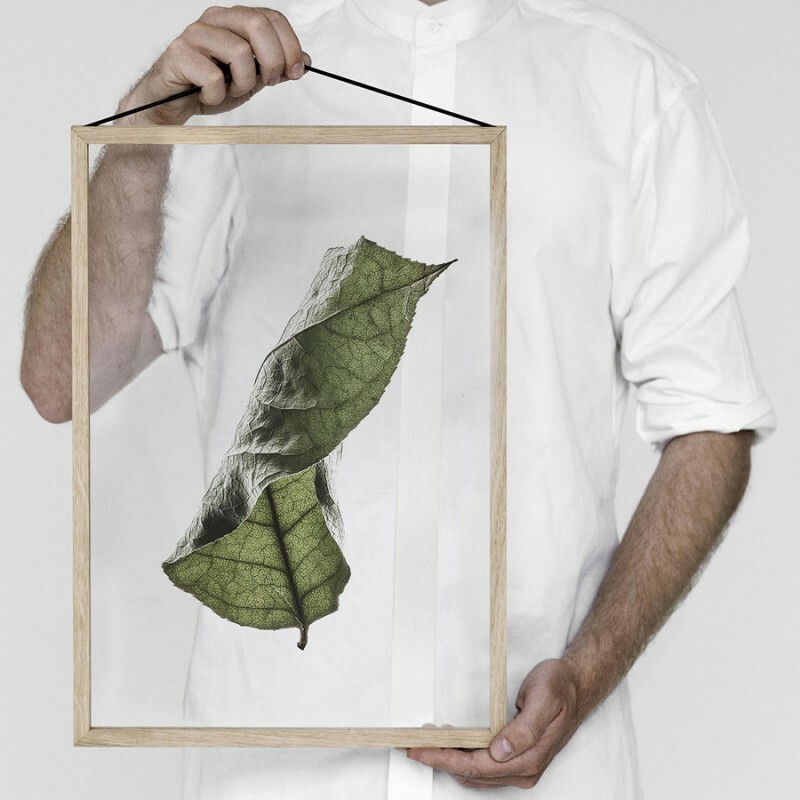 Through the transparency of print and frame the leaves get a unique sense of multi-dimensionality rarely achieved in printed products”.